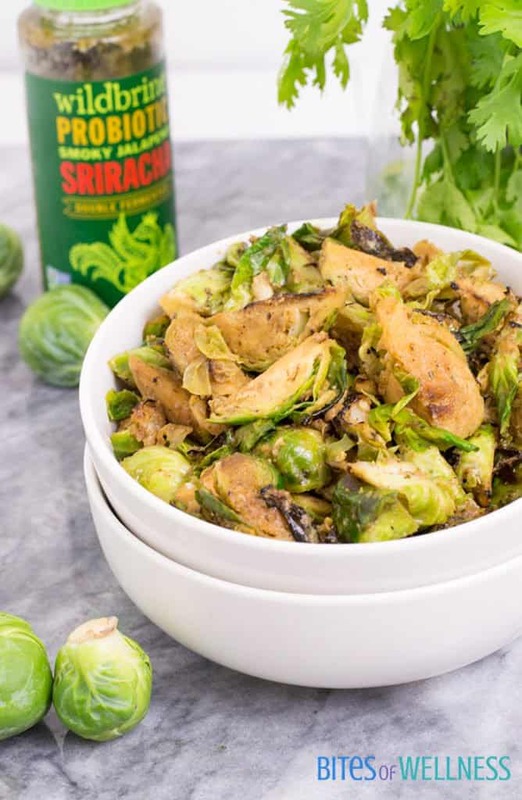 You are not going to want to share these super simple whole30 spicy sriracha brussels sprouts! 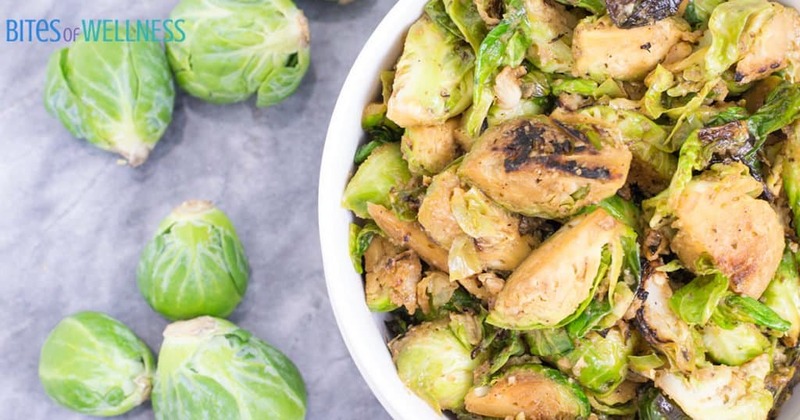 This insanely flavorful side dish only takes 10 minutes to make and will change your mind about brussels sprouts! 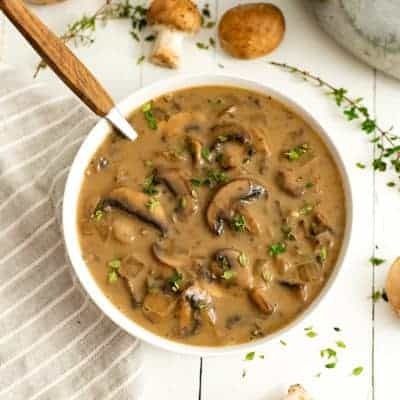 This recipe is Whole30, paleo, gluten free and vegan, and pairs perfectly with your favorite protein. When I was growing up I don’t think you could have convinced me to eat a brussel sprout, even if you tried to bribe me. As a teenager, I was a carb-heavy vegetarian (aka I only ate vegetables if they were on a pizza or in my spaghetti sauce). In college I started to eat “healthier” and add a side salad to my quesadillas and slices of pizza. Then I discovered health and wellness blogs. My life changed! I distinctly remember reading a recipe for brussels sprouts on someone’s blog. They talked about them in a way that made me think I had mistaken the name for boiled disgusting mini cabbages I had when I was growing up – BLEH! So I tried them again. Shaved thin, seared up in a skillet and liberally salted. OMG y’all HEAVEN! This whole30 Sriracha brussels sprouts recipe once again changed my outlook on brussels. I honestly didn’t think they could get much better. 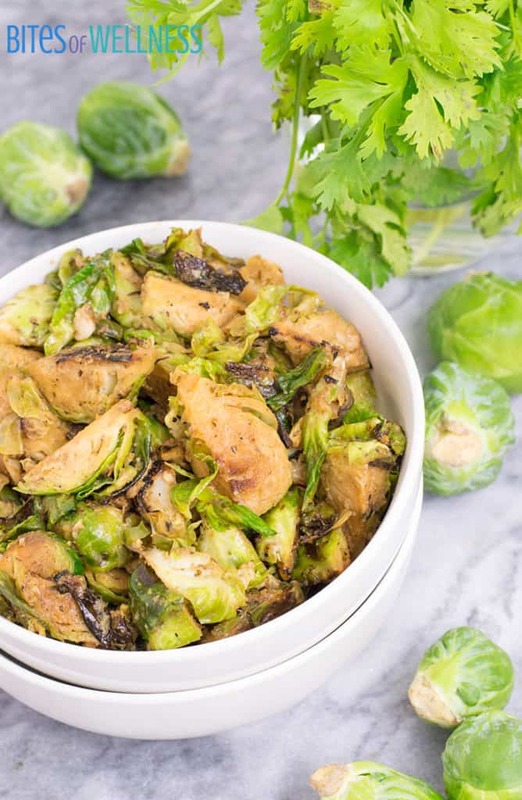 But the flavor in this dish, it’s like I’ve rediscovered brussels sprouts again! The creamy tahini paired with salty, slightly sweet coconut aminos all paired with spicy sriracha. You really need to make this recipe like NOW! I found my new favorite Sriracha at Whole Foods Wilmington the other day when I was looking for some sauerkraut in the refrigerated part of the produce section. 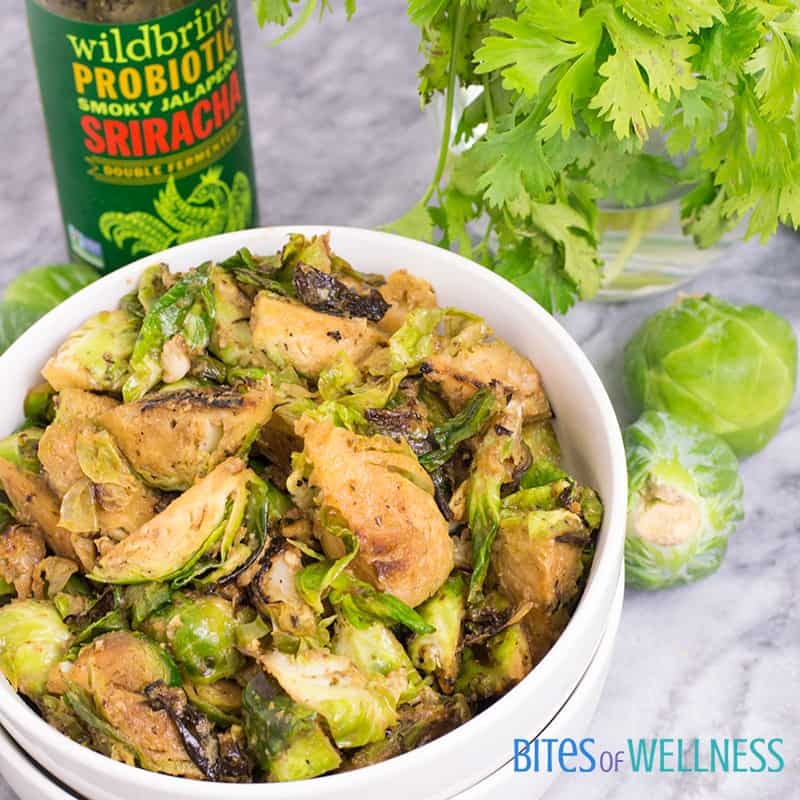 You have to pick up this Green Sriracha from Wild Brines! Not only is it spicy but it’s also amazing for improving your gut health! Eating fermented foods is one of the easiest ways you can improve the quality of your gut. 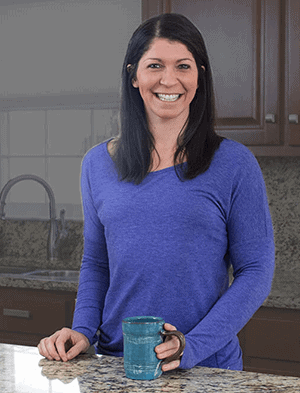 A healthier gut = less sickness and less bloating. So go pick up a jar and make this recipe! 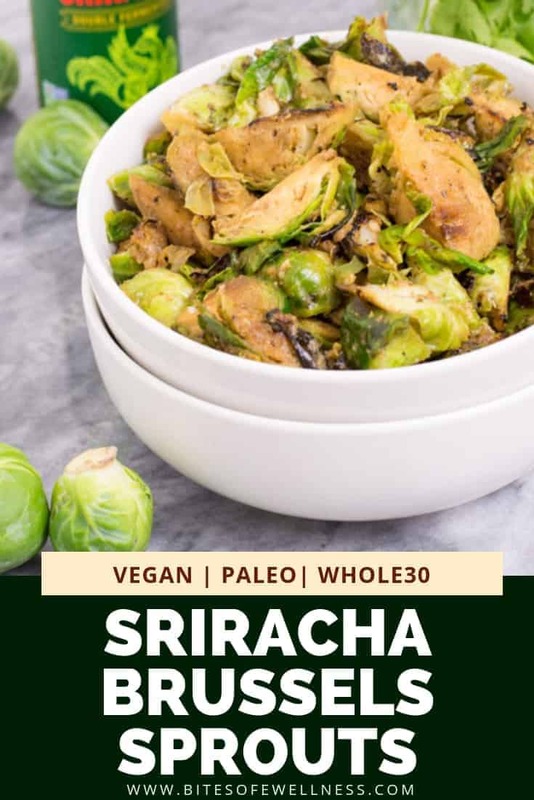 Oh and this sriracha is Whole30 approved, so go get you some before your next Whole30! I used a cast iron skillet to make this recipe! I have finally embraced my cast iron skillet after owning it for 3 years and never touching it. It’s honestly so easy to use and clean, I just have to remember to preheat the skillet for a few minutes before using it or the food does not come out seared and full of flavor. 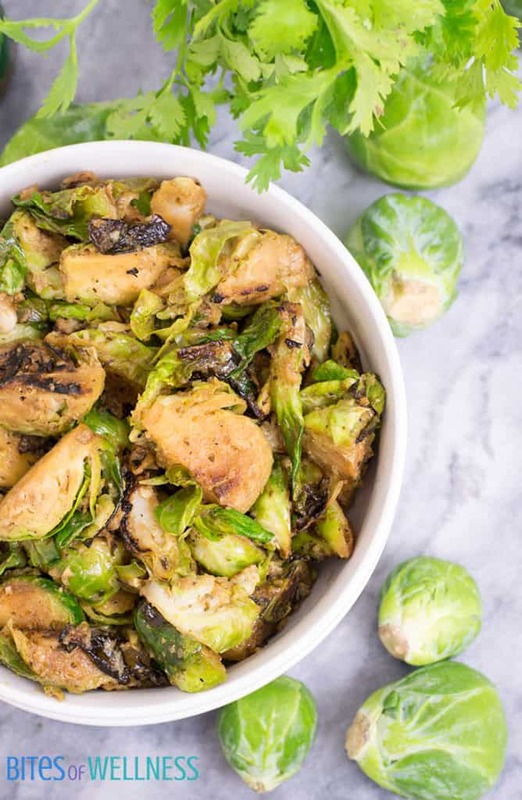 If you love this recipe, you have to check out this apple brussels sprouts hash. 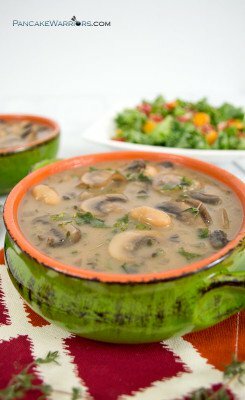 It’s also paleo and vegan and full of fall flavors! If you are using a cast iron skillet, place your cast iron skillet over medium heat, and allow it to heat up for a few minutes. If you aren't using cast iron, don't preheat your skillet until you have the brussels sprouts quartered. Add 1 tbs. coconut oil to the pan. Add the brussels sprouts and allow to cook for 5 minutes, don't touch the brussels sprouts during this time. Add the salt and stir the brussels sprouts and cook again for 3 minutes. Add the coconut amions, Wild Brine green sriracha and stir well. Cook 2 minutes. Turn off the heat and add the tahini. Stir well and serve! Do you eat sriracha or kimchi? These Brussels Sprouts “Rock”! Hope you have a great weekend and thanks so much for sharing your post with us at Full Plate Thursday! I need the green sriracha in my life! This sounds like a very filling meal! Thanks for sharing!